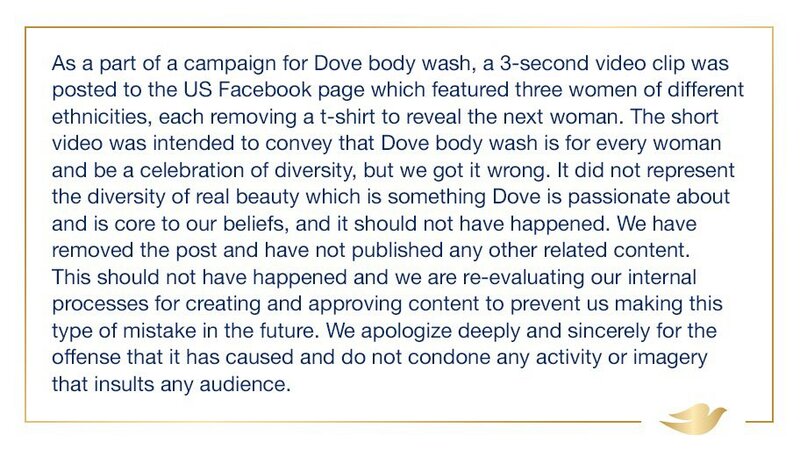 Few days ago, an advert by personal care brand, Dove showing a black woman turning white after using one of their products, a soap to be precise, sparked outrage online., with many labelling it racist and calling on friends all over the world to boycott the company’s products. Well, Lola Ogunyemi, a Nigerian model at the center of the controversial advertisement has also defended the campaign, saying the message was taken out of context. Read her opinion below. “From a very young age, I’ve been told, “You’re so pretty … for a dark-skinned girl.” I am a Nigerian woman, born in London and raised in Atlanta. I’ve grown up very aware of society’s opinion that dark-skinned people, especially women, would look better if our skin were lighter. I know that the beauty industry has fuelled this opinion with its long history of presenting lighter, mixed-race or white models as the beauty standard. Historically, and in many countries still today, darker models are even used to demonstrate a product’s skin-lightening qualities to help women reach this standard. The BBC’s catalogue of unruly behaviours in Nigerians is hilarious.